The SK-2000 "FC" ADHESIVE is part of a multi-component system designed to chemically react with SONASPRAY "FC" to provide improved performance. 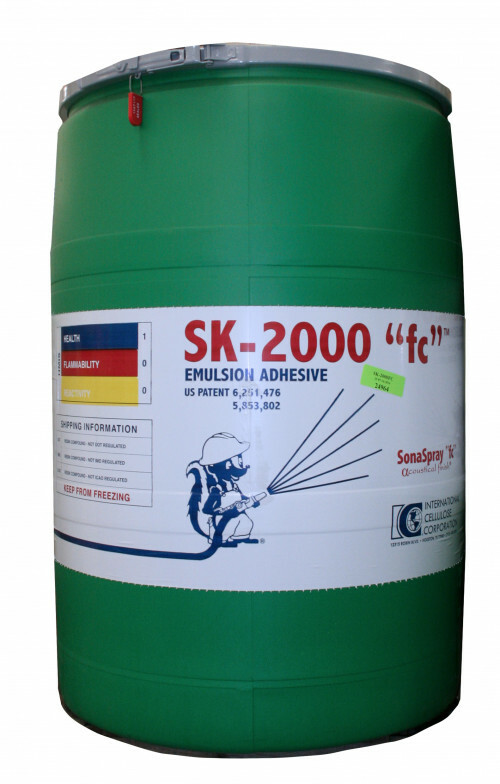 The SK-2000 "FC" ADHESIVE is composed of fine particles of polyvinyl alcohol and copolymers. The SK-2000 "FC" ADHESIVE reacts with the SONASPRAY "FC" to create a bonding power between the fibers. This adhesive strength allows the SONASPRAY "FC" to be applied to a thickness exceeding 19 mm (0.75 in) with much greater ease.